When you’re planning your Disney Vacation, there are lots of questions you’ll need to answer. What resort will you stay at? How many days will you visit? Where are you going to eat? 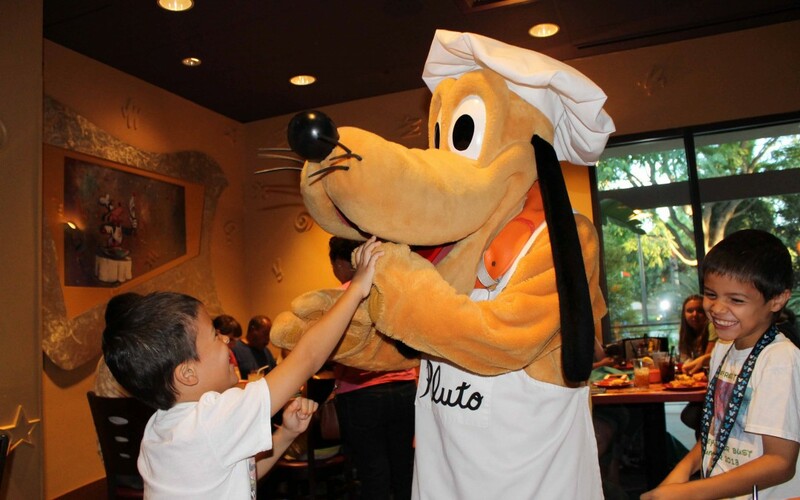 When looking at dining, one of the questions that always comes up is character dining. Do you want to dine with Mickey and all his friends during your trip? Read on for some information you need to have. Most of the character dining locations book up months in advance. Some of the more popular ones such as Cinderella’s Royal Table literally book at the six month mark (as soon as reservations are available). You can’t just walk up to the castle and expect to make a reservation for later in the day anymore. With character dining, the dining plan really comes in handy. Character dining are some of the most expensive one credit meals out there, meaning if you’re planning a lot of character meals you can save a lot using the dining plan. Have all adults on your trip? Character meals are still fun. And Mickey will definitely take the time to stop and see everyone. Don’t worry, the characters visit every table. I know it can hard for little ones to sit and watch the characters across the room, but just assure them they’ll be by soon. Having said that, if you do miss a character definitely speak up. Sometimes due to rotation, or everyone being up at the buffet at once, you’ll miss someone. It’s not a problem, just let your server know if you didn’t see someone and they’ll be sure to track the character down for you. Doing a character meal can literally save you hours waiting in line to see the characters. While some characters have short lines, others have waits of an hour or more. Most notably when the Star Wars Meals were offered, they were a huge time saver. Even the normal Princess meals and the like can save you a huge amount of waiting though. The character meals at the resorts tend to be overlooked, but they’re actually some of the better ones in our opinion. 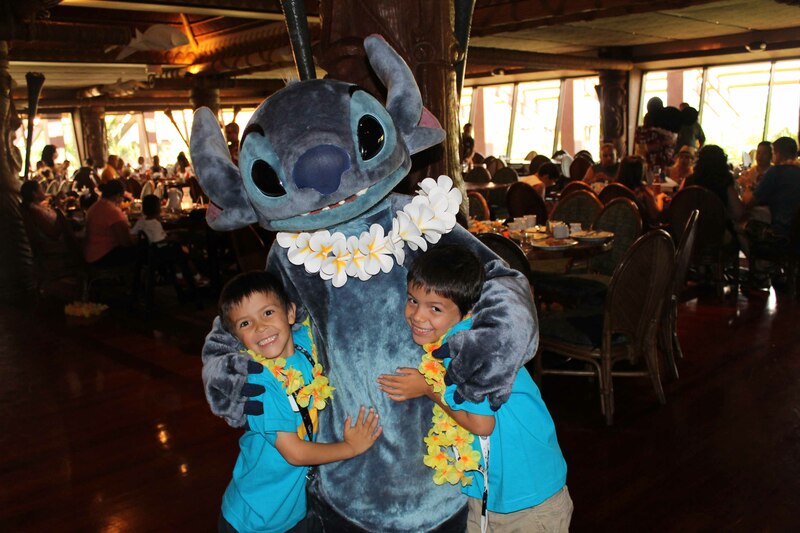 ‘Ohana for breakfast is delicious, and you get to see Lilo and Stitch! 1900 Park Fare offers a unique set of characters with Mary Poppins and Alice (and others) in the morning and Cinderella’s family at dinner time. These meals, among others, are great for down days that you don’t feel like visiting the parks but want to add a little magic to the day. We do warn parents to never absolutely promise their child a certain character will appear at a meal. Mickey is almost always at Chef Mickey’s for example… but there are rare occasions when even the mouse can need a day (or a few hours) off. While you can almost count on certain characters appearing at certain meals, it’s never absolute. Some meals have characters rotate in and out such as the Disney Junior characters changing as new characters become popular. Some meals are temporary offerings such as the Star Wars Meals. Some meals Disney just tweaks to see if adding or removing a certain character helps with the overall rotation. Be aware that even after you make your reservations at six months out, another meal may pop up that would appeal to you more. Completely overwhelmed by this list? Don’t know where to start? That’s why we’re here to help! We can guide you towards which meals would be best for your family and needs and even book them on your behalf. All you need to do is go on your trip and enjoy! Ready to Dine with the Characters?